Sarah Schenirer is one of the unsung heroes of twentieth-century Orthodox Judaism. 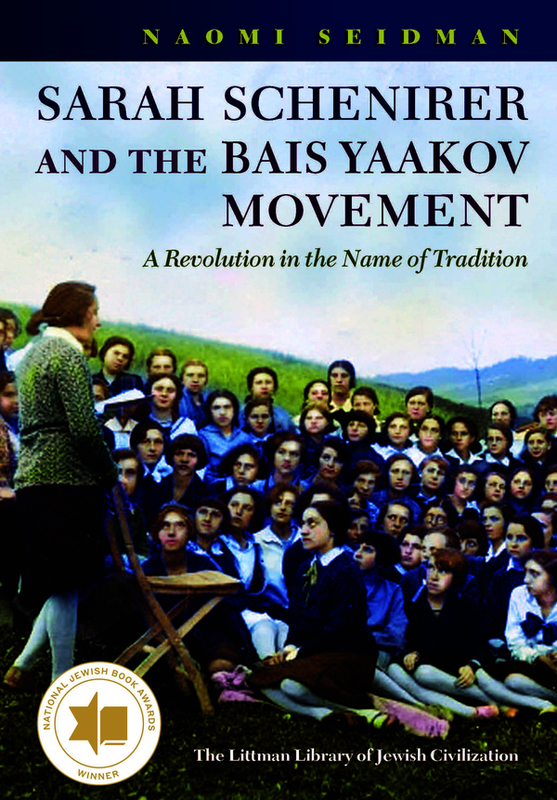 The Bais Yaakov schools she founded in interwar Poland had an unparalleled impact on a traditional Jewish society threatened by assimilation and modernity, educating a generation of girls to take an active part in their community. The movement grew at an astonishing pace, expanding to include high schools, teacher seminaries, summer programmes, vocational schools, and youth movements, in Poland and beyond; it continues to flourish throughout the Jewish diaspora. Naomi Seidman explores the movement through the tensions that characterized it, capturing its complexity as a revolution in the name of tradition. She presents the context which led to its founding, examining the impact of socialism, feminism, Zionism, and Polish electoral politics on the process, and recounts its history, from its foundation in interwar Kraków to its near-destruction in the Holocaust, and its role in the reconstruction of Orthodoxy in subsequent decades. A vivid portrait of Schenirer shines through. The book includes selections from her writings published in English for the first time. Her pioneering, determined character remains the subject of debate in a culture that still regards innovation, female initiative, and women’s Torah study with suspicion. Naomi Seidman is the Chancellor Jackman Professor in the Arts at the University of Toronto. She was previously the Koret Professor of Jewish Culture at the Graduate Theological Union in Berkeley, and was awarded a Guggenheim Fellowship in 2016. Her previous books include Faithful Renderings: Jewish-Christian Difference and the Politics of Translation (2006) and The Marriage Plot; or, How Jews Fell in Love with Love, and with Literature (2016).